Earth Angels aim in producing this documentary is to draw global awareness to the Ol Pejeta Conservancy which is home to two of the world’s last remaining northern white rhinos, and a sanctuary for over 110 critically endangered black rhinos. 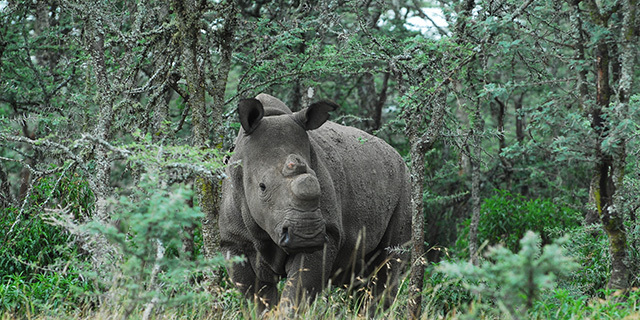 With the death of Sudan in March 2018, the only northern white male in the world capable of breeding, the future of this subspecies now lies in the development of in vitro fertilisation techniques and stem cell technology, costly and complicated procedures that have never before been attempted in rhinos. Ol Pejeta Conservancy is together with Dvůr Králové Zoo trying to raise USD 9 million towards this with a GoFundMe campaign called ‘Make a Rhino’. Earth Angels wishes to draw awareness to campaign through the collective power of their social media reach and the production of this documentary film to get the story out to the masses, campaigning tens of millions of people to make a small donation to the GoFundMe campaign to raise the USD 9 million needed. The campaign currently sits at just €47,800 raised from only 1,540 people in past 36 months. Ol Pejeta Conservancy desperately needs our help. Earth Angels will tell the following story through narrative exposition, real life events which combine actuality with explanation and commentary. We'll also conduct interviews with key personnel, along with reenactments where necessary and use archival footage to show historical events. 100% of the proceeds made from the distribution of this film will also go towards the GoFundMe ‘Make a Rhino’. campaign. Earth Angels wishes to draw awareness to campaign through the collective power of their social media reach and the production of this documentary film to get the story out to the masses, campaigning tens of millions of people to make a small donation to the GoFundMe campaign to raise the USD 9 million needed. The campaign currently sits at just €47,800 raised from only 1,540 people in past 36 months. Ol Pejeta Conservancy desperatelyneeds our help.